London based bassist and composer Misha Mullov-Abbado burst onto the scene in 2015 with a debut album that prompted a stream of plaudits from international press and fans alike. New Ansonia, released on Edition in Sept 2015 and featuring wunderkind Jacob Collier, was described by the Daily Telegraph as an ‘unfailingly inventive, artfully produced, and delightfully sunny debut’ whilst Concerto Magazine in Austria commented ‘…this is the kind of album I expect of musicians who’ve spent more than 40 years on the Jazz stages of the world… Sensational debut !!!”. As the son of the late great Italian conductor Claudio Abbado and Russian violinist Viktoria Mullova, there was great anticipation about the album. Misha not only exceeded expectations but demonstrated that he is an instrumentalist and composer in his own right. Cross-Platform Interchange, Misha’s second album, not only confirms his promise as a musician and composer of real depth and vision, but demonstrates his intention to do things his own way. Playing on his love of trains as well as the reciprocity and stylistic openness within his music, the album title perfectly symbolises the interconnectivity of inspiration in his life and music. With a commanding bass sound and bank of influences at his disposal, Misha has produced an album that will elevate his international career and generate a global fanbase. Bringing in producer Duncan Bridgeman has been a significant step in shaping the music. As Misha explains: ‘Bringing Duncan on board opened up a new world for me to develop ideas of using the studio more in the compositional process, achieving a warmer and more controlled sound as well as adding further elements, such as the additional percussion recorded in Israel that wouldn’t be there in a live context. For me this album represents that discovery, bringing together my inspirations into one world’. 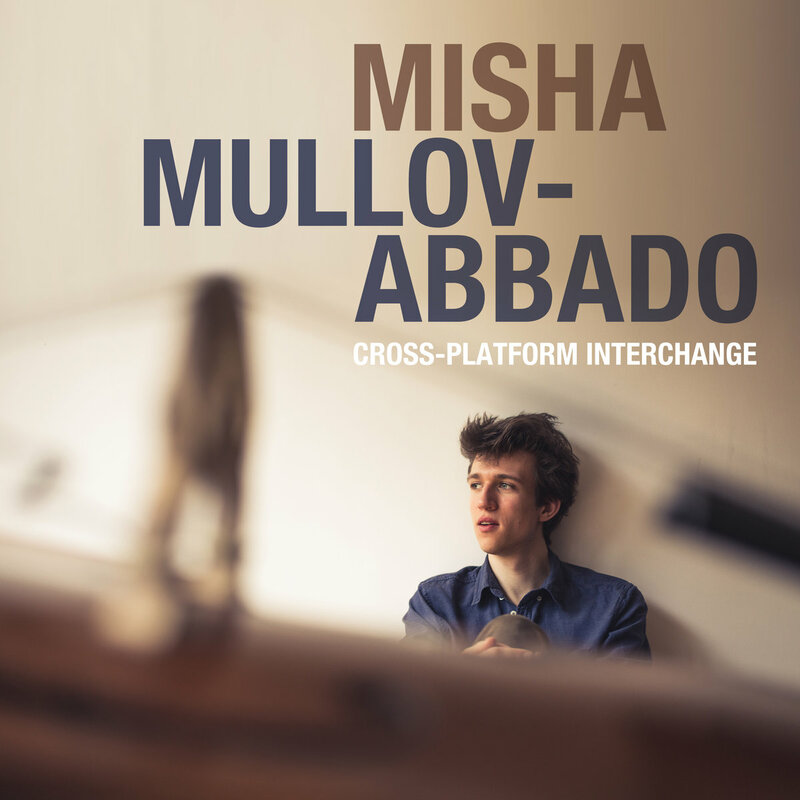 Drawing on this broad palette of styles, influences and inspirations Cross-Platform Interchange is a summary of the musical cosmos that is Misha Mullov-Abbado. Take the opener: ‘Shanti Bell’, a playful yet commanding introduction to Misha’s unique outlook on the world, with strong Avishai Cohen-esque bass figures. Gromit’s Grand Outing, leaves the listener in no doubt about the sense of joy present in his music. Or ‘Waves’: full of delicately intertwined melodies with warm chord progressions and inventive soloing. Misha has the unique gift of writing songs that you seem to know even as they’re being played. Second album syndrome was clearly no issue for Misha. With apparently effortless grace he has produced an album that stands as a mature, high quality and masterly production, an album that shines a light on his own vision and musical perspective. Misha is an artist with a long career ahead of him and there is no doubt that Cross-Platform Interchange will be a significant staging post in this journey. 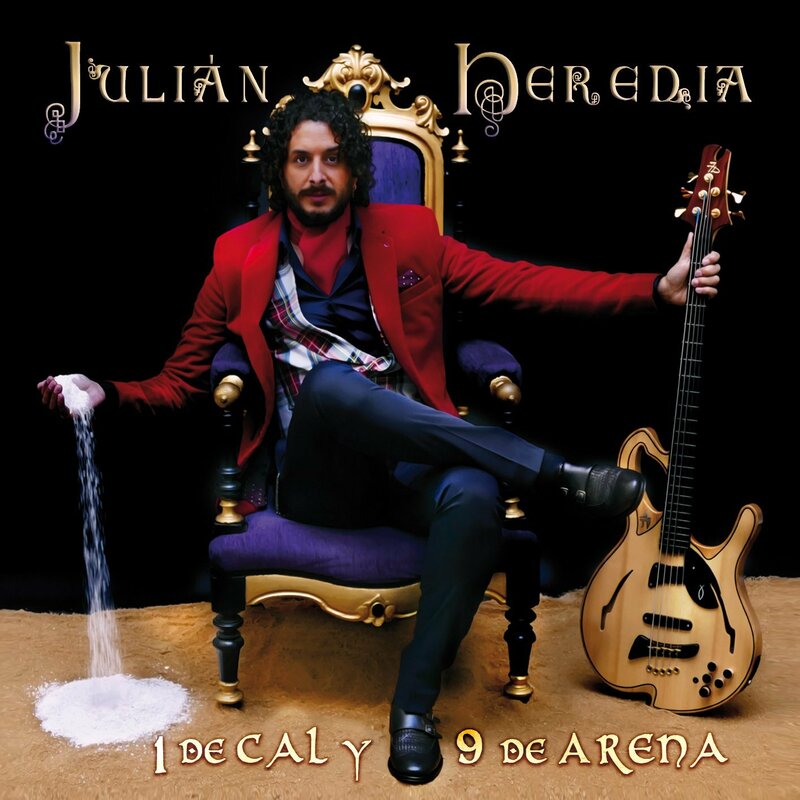 Julian Heredia, bajista, polifacetico y autodidacta, con su raíz proviniente del flamenco pero con un amplio recorrido musical en distintos estilos como son el jazz, pop, blues o funk. Presenta su primer album debut como artista en solitario con caracter introspectivo y esperimental donde su virtuosidad en el bajo electrico aflora con nuevos aires alternando “1 de cal y 9 de arena”. Julián Heredia empieza en septiembre de 2016 a componer y grabar. Poco más tarde, en 2017, aflorando con nuevos aires, presenta su primer álbum “1 de cal y 9 de arena” debutando como artista en solitario con un carácter introspectivo y experimental. Un álbum instrumental, enfocado al bajo eléctrico flamenco, con coros de voz en diferentes temas, con raíz flamenca pero a su vez con una interesante fusión entre el funk, jazz, rap o la música hindú (de ahí el título del disco: 1 de cal sería la raíz flamenca y 9 de arena la influencia de otras músicas). Un álbum con un amplio recorrido musical y rítmico: una soleá, de repente un tema en 11 o en 7x4. Un proyecto con una variedad instrumental significativa. Desde lo más básico como lo es una guitarra o un piano hasta lo inusual o diferente, como lo es un hang o una kalimba, instrumentos no característicos del palo flamenco. 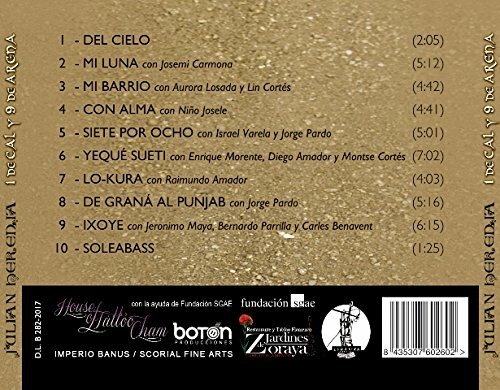 Participan colaboradores y artistas invitados de renombre en varios temas del disco, como el maestro Enrique Morente, Diego amador, Jorge Pardo, Israel Varela, Bernardo Parrilla, Montse Cortés, Carles Benavent, Niño Josele, Josemi Carmona (Ketama), Jerónimo Maya, Lin Cortés, Aurora Losada, o Raimundo Amador entre otros. Un disco donde el idioma universal como lo es el de la música, logra recorrer y transmitir emociones, sensaciones, sentimientos y sobre todo corazón, un proyecto multicultural en toda regla. Julián Heredia ha grabado este disco con bajo eléctrico con sistema midi, modelo “Barcelona” personalizado para Julián por Jerzy Drozd, con bajo modificado por Eduardo Armiño y con bajo fretless vintage mod-pastorius. Utiliza cuerdas “pipote” (Granada) y pedaleras con efectos midis, Roland GR 55. Julián es uno de los bajistas que más prometen en el mundo de la música actual. Elogiado por los mejores músicos sigue aumentando su currículum, haciéndose conocido en este mundo a pasos agigantados. The duo`s compositions and improvisations surprise by its material which is unusually orchestrated and shows distinctive colours concerning the structure of the arrangements. Both partners are working originally and with great variety. There is no passage in the 52 minutes of this production in which a bass or drums would be missed. The elements "groove", "time" and "changes" definitely are recurring factors in the patterns of the improvisations of the two colleagues. New Orleans based clarinetist Ben Redwine feels equally comfortable playing Brahms or Ellington. He is devoted to the performance of new classical music and old jazz, as well as to teaching the next generation of performers and teachers. Ben served as an Assistant Professor at The Catholic University of America in Washington, DC from 2012-2016. In 2014, he retired after 27 years in the US military band system, the majority of time serving as the e-flat clarinet soloist with the US Naval Academy Band in Annapolis, Maryland. He has been a featured soloist at seven International Clarinet Association ClarinetFests in the U.S. and Europe, and has performed extensively as a freelance musician nationally and internationally. In 2016, he moved to the New Orleans area to pursue performance opportunities in the birthplace of jazz. In addition to leading his popular traditional-style jazz band, the RedwineJazz Band, Ben is a Selmer Paris performing artist and a D'Addario performing artist, presenting concerts and master classes internationally. He has recorded for Mapleshade, Naxos, Vin Rouge, Big Kahuna, and AmCam record labels, and composed and performed new music for 1920s era silent films featuring actors Charley Chase and Harry Langdon, released on DVD box sets by All Day Entertainment. All of Ben’s recordings can be found at his website, redwinejazz.com. Ben lives on the north shore of Lake Ponchartrain with his wife, Leslie, and their flock of chickens. 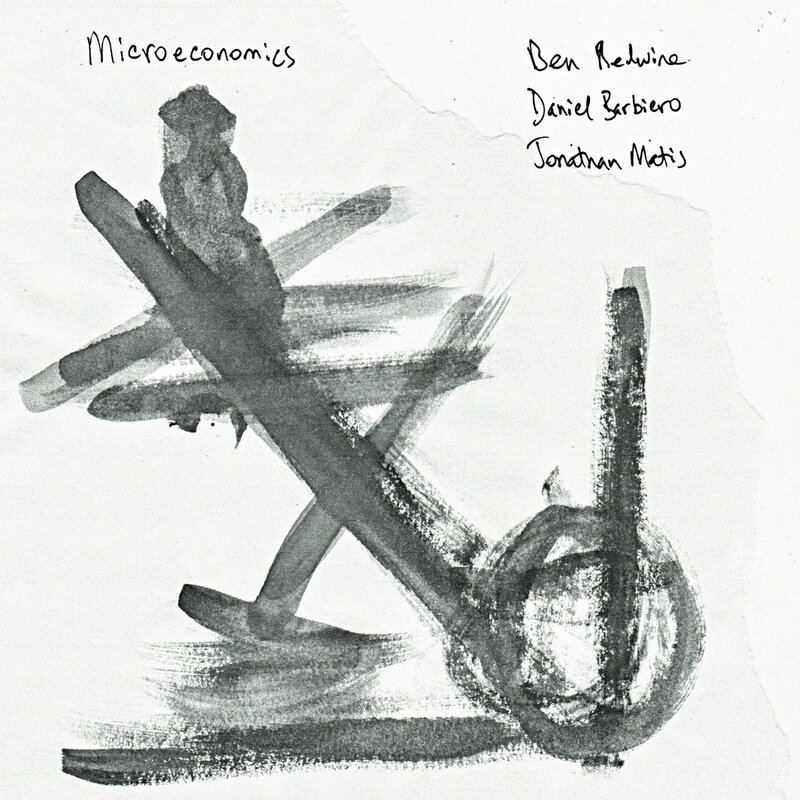 Daniel Barbiero is a double bassist, sound artist and composer in the Washington DC area. He has been active in improvised and experimental music and dance in the Baltimore-Washington area as a performer, composer and ensemble leader. His music is informed by a substantial conceptual orientation and reflects his background in indeterminate composition as well as in modal and free improvisation. He is additionally interested in verbal, graphic and other non-standard methods of scoring for small ensembles. He has performed with Gino Robair on the latter’s I, Norton opera, with Robert Carl on the premier of Carl’s “Changing My Spots,” with improviser Eva Zöllner, the Nakatani Gong Orchestra, and members of Contact; he has released work under his own name and with Ictus Records percussionist Andrea Centazzo, Blue Note recording artist Greg Osby, electronics composer/instrumentalists Cristiano Bocci and Massimo Discepoli, electronic composer/sound artist Steve Hilmy, saxophonist Jimmy Ghaphery, percussionist Ken Moore and underground legend Al Margolis (If, Bwana), among others. In addition, he writes regularly on music and related topics Avant Music News, Percorsi Musicali, Arteidolia, and other web journals. Jonathan Matis has been composing and performing many types of music professionally since 1993. His interest in combining improvisation and composition led him to graduate studies in composition at the Hartt School of Music where he studied with Robert Carl and David Macbride. In May of 2008, Jonathan toured the United States playing guitar with Joe Lally (of Fugazi). In March of 2006, he was invited to Philadelphia to compose and perform as part of a residency with Pauline Oliveros and her Deep Listening Band. In the summer of 2005, he was selected for participation in the Oregon Bach Festival Composers Symposium. Jonathan leads the DC Improvisers Collective, a free jazz ensemble; and the Low End String Quartet, a re-imagining of the classical standard. 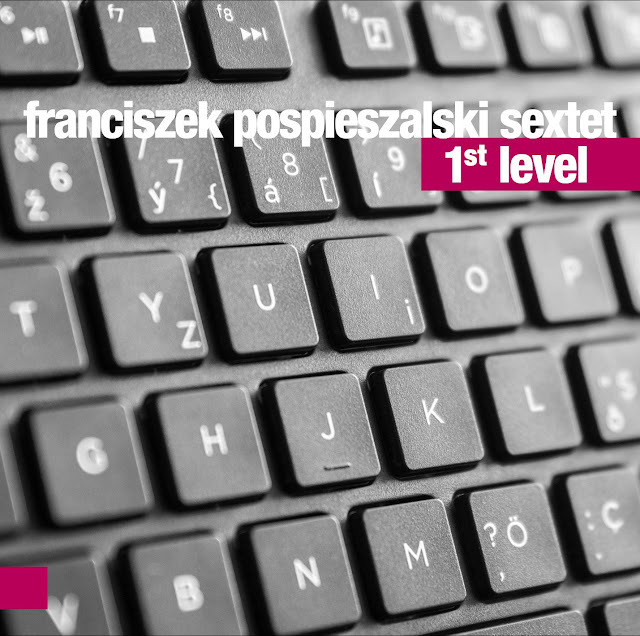 FRANCISZEK POSPIESZALSKI SEXTET- Premiera Płyty "1st Level"
Projekt z kompozycjami autorskimi z pogranicza jazzu, improwizacji oraz klasycznej muzyki współczesnej. Wielokrotnie nagradzani i wyróżniani członkowie Zespołu, chcą przybliżyć polskiej publiczności trochę skandynawskiego klimatu, który pozwala na rozwijanie swojej kreatywności, muzykalności oraz przekraczania barier, schematów, oraz przyzwyczajeń o które łatwo w dzisiejszym świecie, w którym jak to niektórzy mówią: wszystko zostało już zagrane. Lider zespołu Franek Pospieszalski w swoich utworach chce temu wyraźnie zaprzeczyć. Muzycy przybywają z misją otwarcia się na świat muzyki autorskiej, nowoczesnej, awangardowej oraz eksperymentalnej. Skład zespołu jest niekonwencjonalny, a inspiracje sięgają od muzyki klasycznej poprzez rock, muzykę tradycyjną aż do niezliczonej ilości barw jazzu który zanurzony w improwizacji pozwala uwydatnić charakter każdego z muzyków. Franciszek Pospieszalski pozwolił w swoich kompozycjach zawrzeć polską duszę, niecierpliwą ciekawość świata oraz bezkompromisowość, w niełatwych czasem „kontrowersyjnych” brzmieniach nordyckiej niepogody. Grzegorz Tarwid – grand piano, el. piano / fortepian, fortepian el. From all the unconventional projects Sebastian Gramss has initiated, Slowfox is the most melodic. Essentially that is true; nonetheless, also this assessment should be seen in relation. Of course ECHO-award-winners Gramss, Hayden Chrisholm und Philip Zoubek are much too reflective to stray onto the thin ice of entertainment. 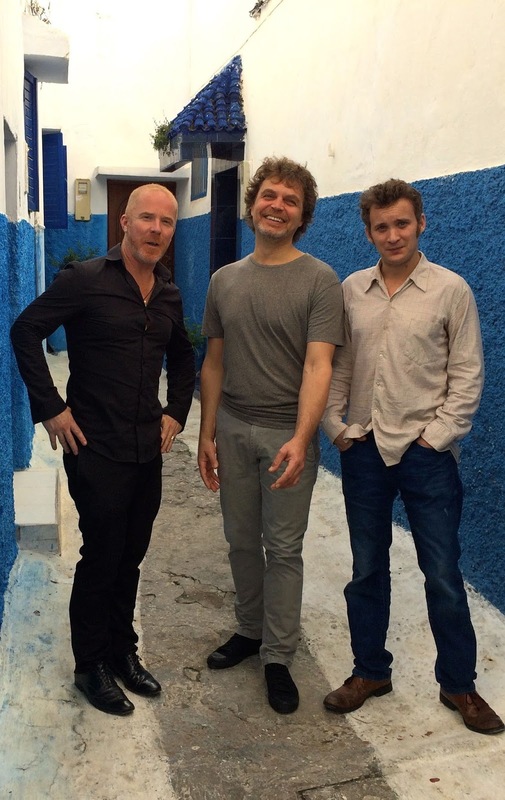 “We invite the listener by connecting to something familiar,” Sebastian Gramss describes the starting point from which the trio develops chamber-musical aesthetics of sharpened senses. Gentle Giants comes alive through a subtle profoundness, in which there is a lot to discover: harmonic finesse, elegant sound ideas, and fine imaginative powers. Bandleader Gramss, who also functioned as the producer of the record, calls the music “Melodic Avant-garde”. Different from the subversive avant-garde of earlier decades, Slowfox only changes a few specific rather than all established parameters. The open approach of the trio brings together crafty structures and improvisations and appeals to intellect and heart alike. Instead of bold speed or muscle flexing there are atmospheric nuances and slender sounds, which interlock in transparent arrangements. At the first listening the omission of any percussion already becomes apparent. Certainly Slowfox is not unique in this aspect, although the concept still seems quite uncommon in a jazz-context. Of course Slowfox can also swing without a specific beat, however, other qualities are the focus here. Unlike the debut album released in 2014, all compositions on Gentle Giants are written by Gramss specially for this formation. “On the first record we explored the possibilities of the new formation and therefore I resorted partly to tried and trusted material,” Gramss recollects. “Thereafter the band sound was generally clear.” Subsequently the trio played live a lot and carved out its contours more and more clearly. It was essential to this new work, to carry on the individual path. It took about a year to find fitting pieces and to formulate them, Gramss says. 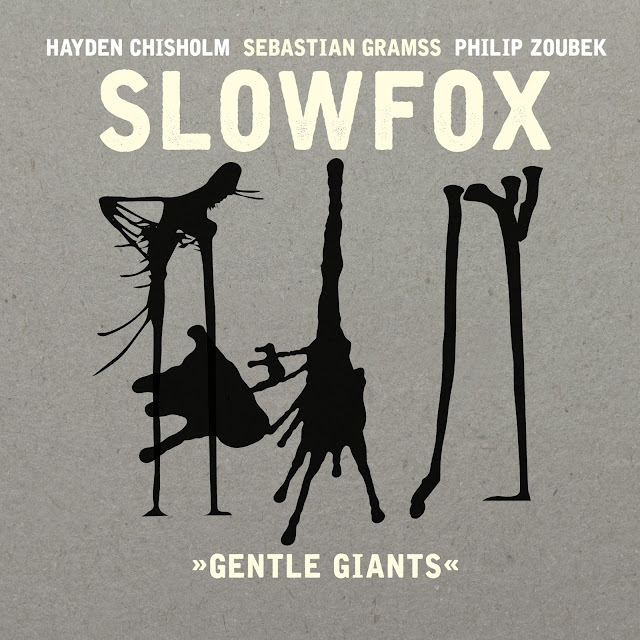 In the summer of 2016 there was an extensive tour, so Slowfox had the chance to bring many of the pieces from Gentle Giants to life on stage before they went to the studio in mid-September. Born 1966 in Wilhelmshaven, Sebastian Gramss began playing guitar and electric-bass, which later led him to the double bass and it was Louis Armstrong, Progressive-Rock and Weather Report that brought him to jazz. In the past decades he has worked with sound-rebels like Fred Frith and Elliot Sharp, as well as free jazz pioneer Peter Brötzmann and has written music for Pina Bausch and Hans Kresnik. Gramss’ most unusual project is probably the orchestra consisting of 50 bassists named Bassmasse [Bass mass]. Gramss already played with Hayden Chrisholm before Slowfox; back in 1996 they were already sharing a rehearsal room. The saxophonist with the clear tone came to Cologne through a DAAD-scholarship and in the mean time also studied in Japan and in India. On his solo debut Circe he amazed with a self-devised microtonal system and since then Chrisholm played with Root70, David Sylvian and others. Furthermore, he created music for films and installations of Rebecca Horn. In 2013 he was awarded the SWR-Jazz-Prize. Philip Zoubek studied in Vienna and from there resettled to Cologne in 2001. 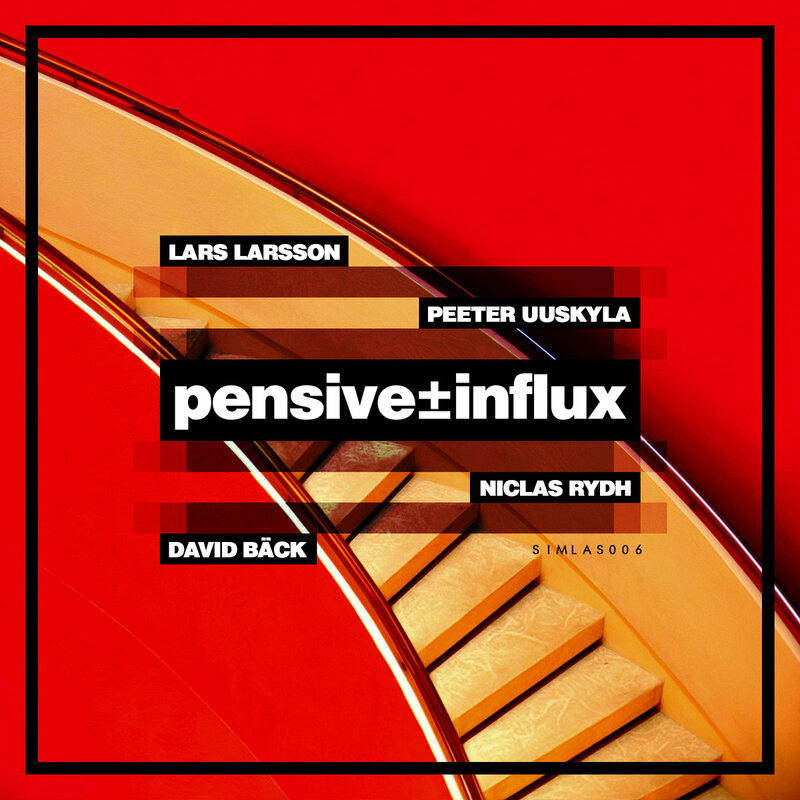 For over 10 years the unconventional pianist has been in contact with Gramss and also played with Louis Sclavis, Rudi Mahall, Simon Nabatov, Clayton Thomas and many more. His trademark is extensive preparation of the grand piano with aluminum pots, glasses and plastic toys, which decisively expand on Cage’s basic idea. Just like for their debut album, Slowfox has found a poetic guiding motif for Gentle Giants as well, and its words were interspersed throughout the titles in the track listing. Since the order of the compositions on the album obviously follows a tonal dramaturgy, some of them now randomly carry peculiar names like “Were”, “To Be” or “The”. The entire quote - “And those who were seen dancing were thought to be insane by those who could not hear the music“ - is accredited to Friedrich Nietzsche, Gramss says, but it is uncertain if it really originated with the philosopher. What is for sure though, is that the clarity and deeper meaning of the sentence Slowfox very well. The trio’s nuanced music can make the mind dance and its listeners will definitely not be declared insane. 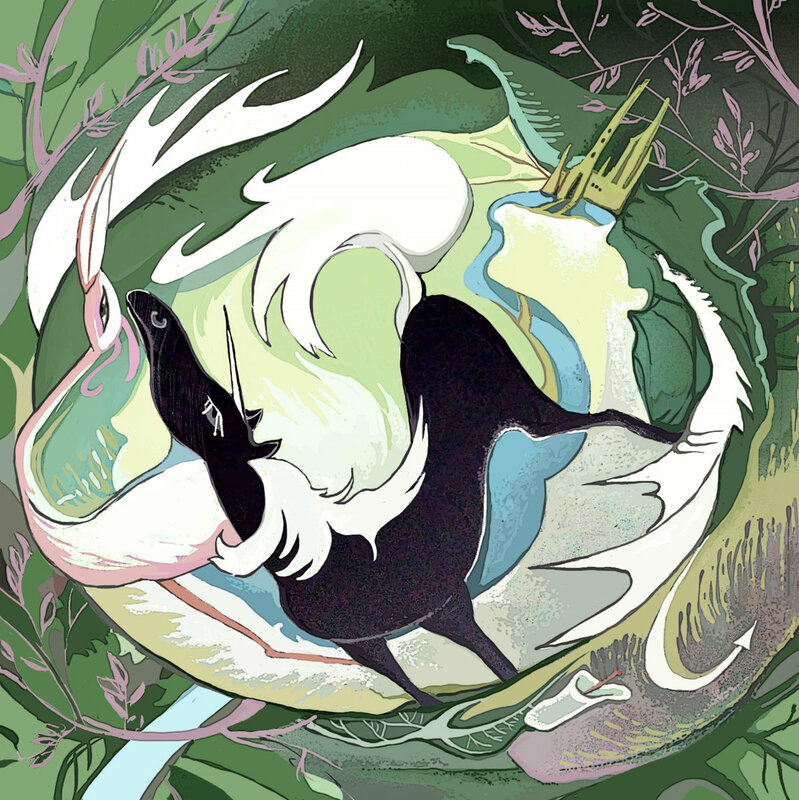 Simlas produksjoner is an open minded record label based in Norway and Sweden with a leaning towards improvised music. Besides building up our own unique catalogue of first-time releases we also re-release a selection of earlier released albums. Simlas is maintained by Anders Berg, Funäsdalen, Sweden and Tellef Øgrim, Oslo, Norway. 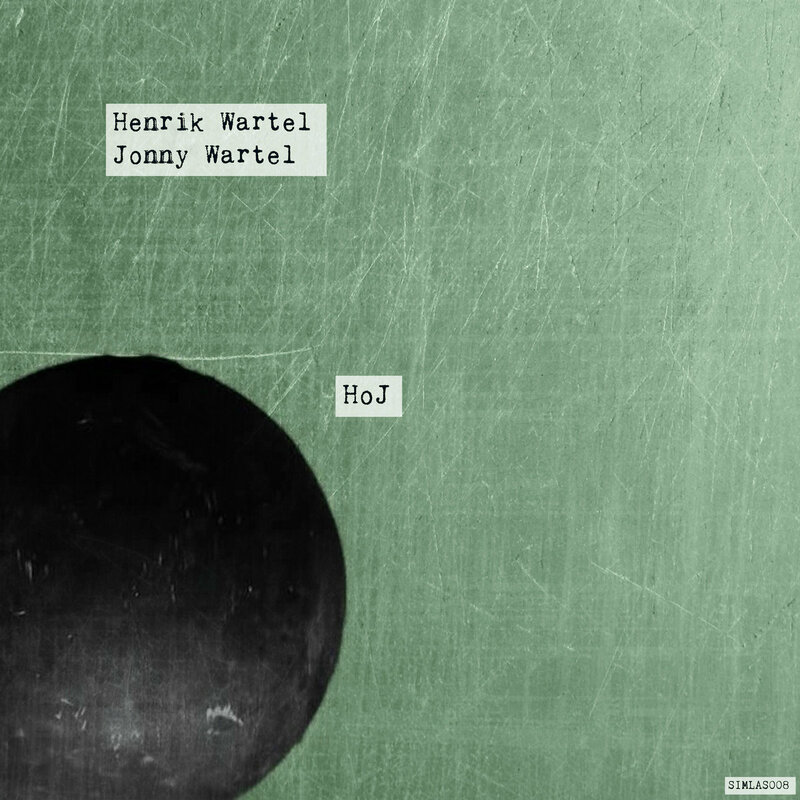 HoJ was formed on February 4, 1959, when Jonny was born and Henrik's two year solo project was completed. 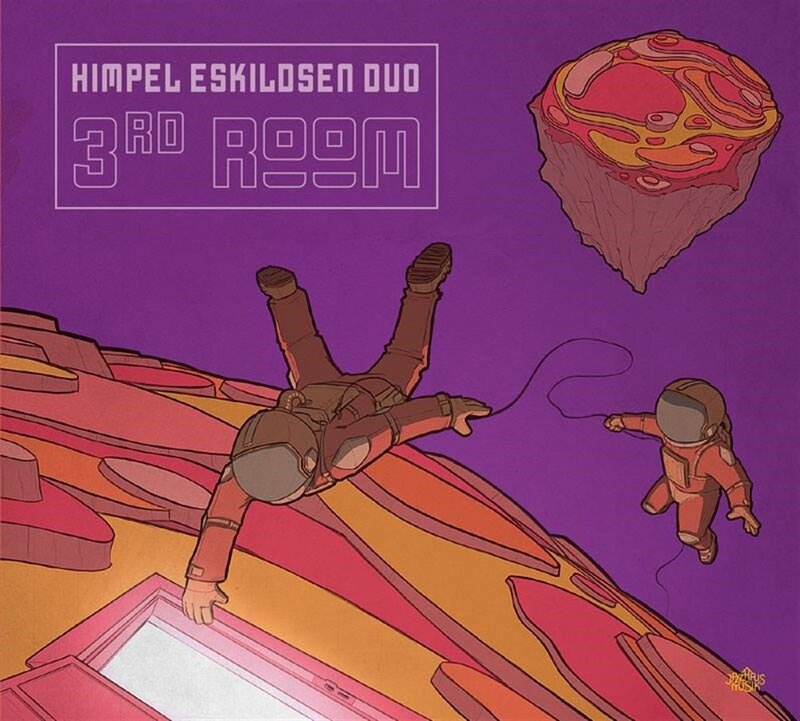 Since then, the two musicians have collaborated in a variety of constellations, such as Tajphoon Tivoli and Position Alpha - two almost cult groups active in Gothenburg in the 1980s. Right now they are also together in the Jonny Wartel 4th and Urgent Call groups. The music is spontaneous and true. Falkor Ensemble (Israel) is an instrumental quartet that blends composed and improvised music to create a unique sound, dark and atmospheric. Since the band’s formation in 2016, Falkor Ensemble has played dozens of shows in Israel and has recently recorded a debut EP. The ensemble’s original music blends together the worlds of modern jazz, 60's and classical music to create a unique mood to it. This 4-piece EP is our first effort that we are so excited to release to the world. Inside you will find, hopefully, a little bit of the magic we felt while recording this music. Each tune on this EP has a story, a feel and an atmosphere behind it. The way we interpreted them while recording was aimed at giving this music as much freedom as possible to speak for itself. So, each time you press play, some magic is born. Peace!